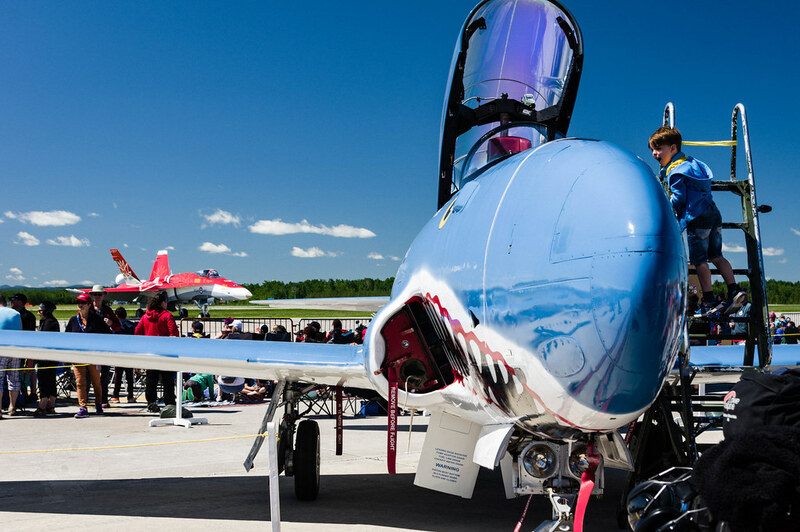 Superb Canadair T-33 Mako Shark at Bagotville International Airshow 2017. In the background, you can see a CF-18 proudly displaying Canada colors for the 150th anniversary of Canada. A joy for the kids to discover.